February | 2010 | Words. Sentences. Stuff. Full of good intentions, I had planned to make some predictions for the 2010 BAFTAs that were announced last night. Unfortunately, I’m also full of the cold so I went to bed instead. I’m pleased to say, though, that I’ve woken up to see some very sensible results. The number of nominations thrown at Avatar and, to a lesser extent, Up in the Air baffled me. Neither were Best Film material and neither, as it turned out, won. Instead it was The Hurt Locker’s night — a far more deserving destination. Avatar excelled in two fields and it was those two fields in which it found some success: special effects and production design. Up in the Air got best adapted screenplay and that’s probably deserving too … the script was pretty good. Christoph Waltz was a shoe-in for Best Supporting Actor, Up was hugely deserving of Best Animation and Best Music and it would’ve been a travesty if my favourite film of 2009, Moon, had gone home empty-handed. Biggest surprise and disappointment of the night — perhaps the only surprise and disappointment — was Let The Right One In didn’t get Best Film in a Foreign Language. It’s hard to imagine a better foreign film than the Scandinavian vampire tale and I haven’t yet seen the winner, A Prophet, so it’s unfair to manufacture true outrage. I can’t help thinking maybe there’s been too much buzz around vampires recently and that’s done it a disservice. Now it just remains to be seen how or if these results translate into Oscars in a couple of weeks. Head says Avatar may do a little better across the pond; heart likes the believe that Up might bag Best Picture. Okay, so I’m not exactly quick off the mark with this one. Four months have been and gone since Up debuted at the cinema in both 3, and the more traditional 2, D formats. It’s probably been available to illegally download for a similar length of time and may or may not have arrived on Sky Box Office at the time of writing. I skipped it at the cinema mainly because of its certificate and it’s interesting, to me at least, to think that I’m not shamed or embarrassed to sit through, say, Ninja Assassin, but will draw the line at anything with a U stamped on it. It speaks volumes of the power of the opening scenes that despite this warning and despite me tackling the film with an oh, we’ll just see about that attitude and despite a suspicion that it’s nigh impossible to connect so strongly in such a short period of time … sure enough, within ten minutes my throat was burning, I could only manage a stifled mm-hm when asked if I was alright and I was thanking God that I’d had the common sense to stay well clear from going to see this at the cinema and steaming up a perfectly serviceable pair of 3D glasses. It casts its spell in such a hypnotic way. It focusses on faithful universal truths and places us inside an initially mute character whose simple passions can easily be related to our own. He’s a little ball of soft clay in those first minutes and in uncertain hands, he could’ve been moulded into something cheesy and manipulative, but Pixar are old hands at this kind of thing and treat proceedings with enough everyday realism to out trump these concerns. Everything that happens in the opening is there to serve the story as much as it is to play Duelling Banjos with your heart-strings. It feels consistent and honest. Wall-E — another Pixar gem I ultimately enjoyed in the safety of my own home — probably holds its own in a head-to-head as far as emotional openings are concerned, but while I felt Wall-E started to suffer once the humans got involved, I didn’t feel Up flagged at all. Not once. My first thoughts as the end credits rolled were that I reckoned this is the best animated movie I’ve seen. Perhaps one of the best movies I’ve seen, full stop. Visually, it was flawless. It’s difficult not to compare it with Dances With Smurfs. I don’t know which is technically better. I don’t want to know. I don’t care. I’m going to call Up just as impressive on that score if for no other reason than it succeeds on every level that Avatar failed — storyline, acting, drama, originality — and the sum of the parts has a positive effect on the whole, raising the bar for all attributes. So that premise, then. 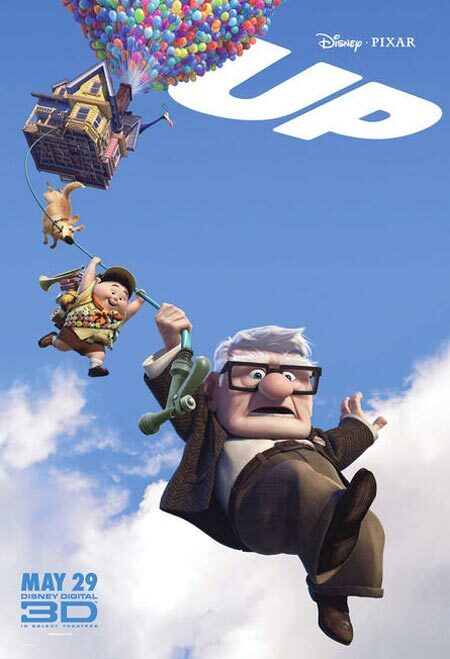 Balloon salesman Carl Fredricksen, voice by Ed Asner, is recently widowed and battling against The Man who wants to knock down his house and stick him in a care home. Carl’s house and everything in it — down to the mailbox — has huge sentimental value and so, understandably, he’s less than keen to go along with these plans and would far rather sit in his old chair and think of better days when he and his wife planned to move to Paradise Falls; an idyllic little corner of South America (“It’s like America … but south!”). However, the court succeeds in forcing the issue, leaving Carl to seize the remains of his day. Whatever the collective pronoun is for a million balloons, that’s what he attaches to his house, dragging him up, up and away, to drift to Paradise Falls and realise the dreams he’d once shared. His first problem arrives moments later when tubby boy Scout stowaway, Russell, knocks on his door at 30,000 feet. For 90 minutes, Up just delivers. 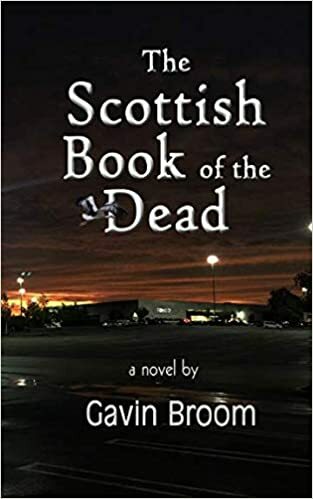 It’s brilliantly funny, crushingly depressing, finely detailed, perfectly paced, breath-takingly dramatic and there’s a definite sense that behind each step the story takes, there’s real heart and matching purpose. And that hypnosis from the first ten minutes? That’s there in the bank, so the movie just has to snap its fingers and we’re eating out of its hand again. This is done sparingly enough to remain effective and timed just right to round off what ends up being a complete journey. I rather liked Up. I feel better for watching it. Sometimes you look at a movie poster and you think to yourself, yep, that’s going to be great. So much time and effort has gone into encapsulating the ethos of a 90 minute movie and representing that theme and those ideals in a still format. And what about that tagline? Doesn’t that just drill to my very soul, make me question truths I once held dear? Wow. I’m certainly going to look forward to that movie. And sometimes you just think, mneh. Casting your eyes to the right for a moment, it’s hard to imagine a less imaginative effort to help publicise the new Michael Cera release. Let’s see, now. We have a half-assed cartoony drawing of the young man in question with something of an enigmatic smile that isn’t quite transferred to his eyes. We also have a tagline of Every “Revolution” Needs A Leader, which after seeing the film I can announce has precisely NOTHING to do with anything I just watched. Not one to be put off, and because The Road still isn’t showing in Stirling, I went along anyway. You can be sure of a few things in a Michael Cera film; namely a wheelbarrow full of quirkiness, verbose and melodramatic dialogue, a propensity for the everything oddball and more than a few laughs. He’s a good actor with laser-precise timing and I enjoy his work. Of course, for the purposes of this review and for my life in general, I’m ignoring Year One. 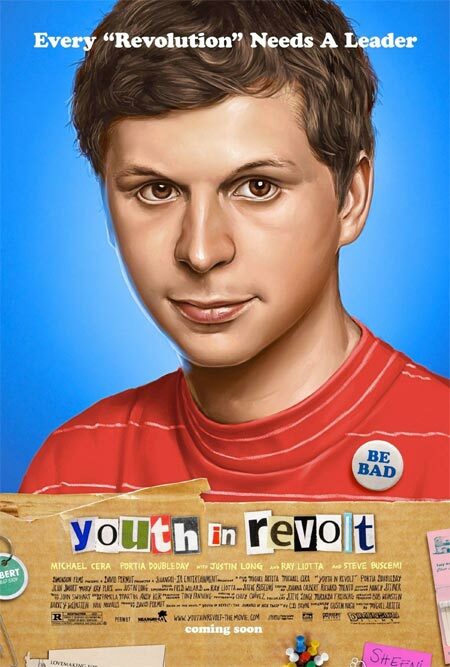 In Youth in Revolt, Cera plays quirky, oddball, verbose sixteen-year-old Nick Twisp; possibly the most fitting character name he’s ever acquired. The pre-credit scenes fill us in with everything we need to know about Nick and, if we’re honest, they’re pretty much what we assumed would be the case before the lights went down. Virgin? Check. Nerdy loner? Check. Unusually bright? Check. Talks like he belongs in a period drama? Check. Friends do the same? You betcha. With his parents divorced, he finds himself with his mother (Jean Smart) who stumbles from one failed relationship to another while his father (Steve Buscemi) is shacked up with a bikini-clad twentysomething. Thanks to a bunch of sailors and a dodgy car deal, Twisp, his mother and Beardy Jerry high tail it to a “holiday resort” until the heat dies down. The resort turns out to be a trailer park and it’s here that Nick meets and falls in love with the alluring, worldly-wise francophile Sheeni, played by newcomer Portia Doubleday. I don’t think I’ve typed either of those two words in my life before. But no holiday romance can last forever and all too soon, Nick finds himself back home with a rashly concocted plan to be reunited with his true love. Part one is to get his dad a job near Sheeni’s resort. Part two is to behave so badly that his mum sends him off to live with his dad. To stand a chance of completing Part Two, he has to reinvent himself and he does precisely that. The result is a smooth, moustachioed bounder by the name of Francois Dillinger, also played by Cera. What happens next is pretty funny in places and in one scene near the end where Nick tries to fake his own death, it’s actually hilarious. The Dillinger alter-ego gives Cera — who must be bored playing the same character in every movie — something at least a little different to get his teeth into, even if that is just a never ending supply of cigarettes and a strip of bumfluff along his top lip. And credit where it’s due to director Miguel Arteta as he manages to fill the minor roles with some major names. Buscemi is as great as you’d expect. M Emmet Walsh is another favourite of mine and is excellent as Sheeni’s bible-thumping dad, especially when accidentally tripped out on shrooms. Fred Willard and Ray Liotta also do pretty amusing turns. All this doesn’t really distract from the suspicion that the movie lacks direction and no one’s given Arteta the map to drive us from one set piece to the next. It’s rather like a bike freewheeling down one side of a valley and running out of steam before it gets to the top of the other side, leaving the rider to get off and push. Interesting devices seem to be plentiful but none really deliver their potential when maybe he could’ve got more out of fewer. For all the amusement, Dillinger disappears for scenes at a time and a much tauted romantic rival for Sheeni’s affections turns out to be a big disappointment when he’s finally revealed. Sheeni’s brother and jealous classmate provide yet more missed opportunities for development. There’s also something of a misplaced, misjudged, contradictory message of “being yourself” that seems to realise its own inadequacies before wisely scuttling away with it’s head barely making it round the corner. Without proper attention to these interesting spins, it ends up little more than another tepid get-laid-teen-comedy when it’s obviously aiming higher. And as Cera gets older — he’s twenty-one now — it becomes harder and harder to find him believable as a schoolkid. Here, we’re asked to accept him as sixteen-year-old and that’s testing the limit. That said, the sight of him running around in his underpants is probably still going to be amusing for the next couple of years. Despite its flaws, Youth in Revolt, is still a decent watch, the five or six set pieces make the experience worthwhile and it’s by no means a terrible film, no matter how much the poster tries to insist otherwise. Every time I tell myself that I’m finished with posting about odd signs and notices, I’m guaranteed to see another one that I simply can’t ignore. 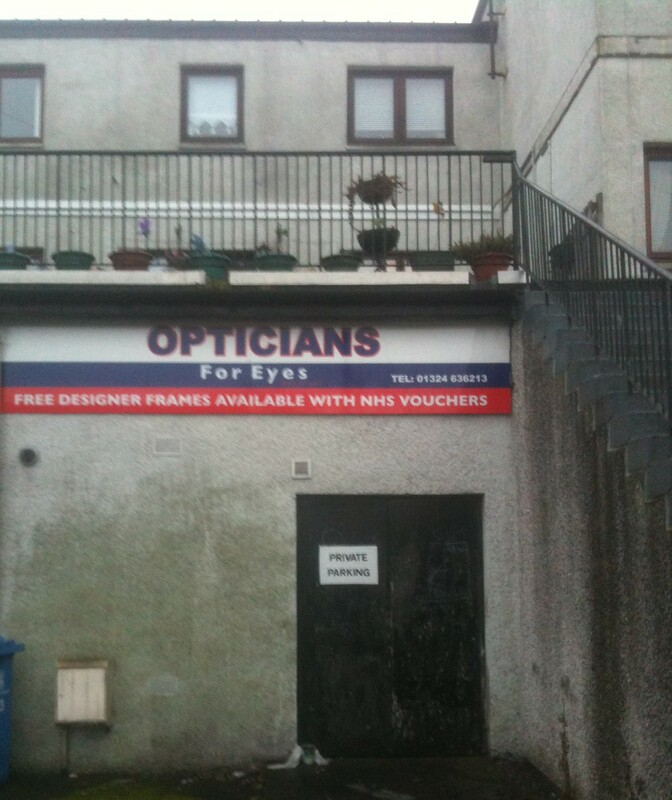 OPTICIANS, it announces proudly. But then, it panics, becomes concerned that there’s just not enough information here … something’s missing … but what else can you say about a simple opticians? Not to worry, the clever signmaker is at hand to clarify. Added at the bottom in a subtitular masterstroke, we find: For Eyes. Which is handy for those potential customers looking for an optician to sort out their ingrowing toenail. Apart from the sign, though, it has to be the most depressing shopfront I’ve ever come across. But I suppose if your eyesight has deteriorated to a point where you need an Optician (For Eyes), you’re unlikely to notice. I’m not used to thinking about the shenanigans that might be going on in a Sicilian lemonade factory. Out of sight, out of mind is my standard position on the matter. And yet here I am. This is the label from a Tesco bottle of pop. Or soda, if you prefer. Or juice if you’re Scottish. 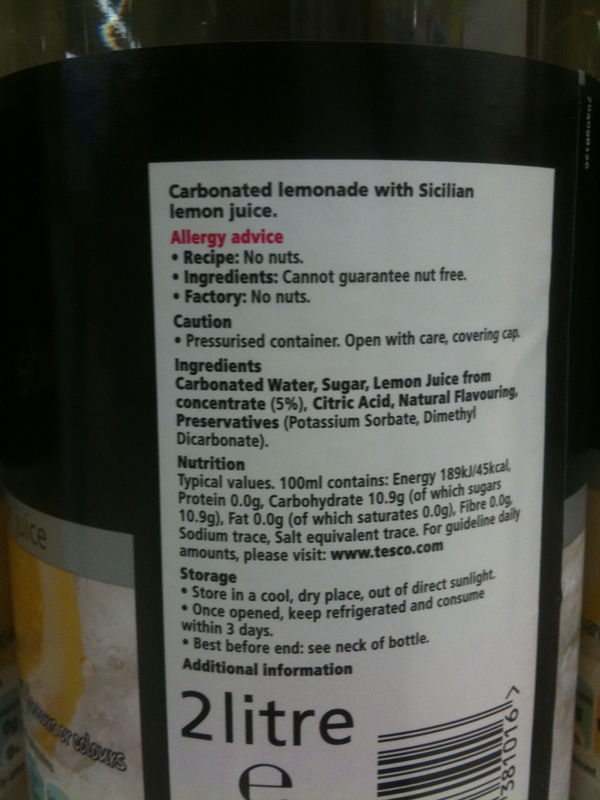 Ingredients: Cannot guarantee nut free. Eh? What on earth is going on in that factory? Whose nuts are getting dunked like teabags into my bloody lemonade? And if I pay a little extra, can I get that guarantee, please? Just a quick note to say that Emma’s Verruca went live, so to speak, over at Fiction at Work this morning. There have been lots of great pieces published there recently and a few familiar names so do feel free to take some time and check it out.